Depending on your perspective, that’s probably how you felt about last year. But, once the smoke cleared on 2017 it became obvious - despite the politically charged atmosphere in DC - the markets like what they see in the new lighter regulatory climate, tax overhaul and overall pro-business environment. After a surprisingly strong year in 2017, the upcoming year could see increased growth as global economies are now growing in a synchronized pattern for the first time since 2007. Though it is tough to say we will see 20% returns in both U.S. and international markets in 2018, it is certainly possible especially if the appetite for equities by the average investor picks up. What looks best in the U.S. Markets? During the current nine year bull market all of the equity asset classes have risen, but the valuations between the asset classes leave some better valuation and risk/reward characteristics in particular asset classes. Though large cap and small cap value offer the best price valuations, the desire for growth by investors may continue to lead technology and other higher growth sectors to outperform value for a while longer. We (EBW) do not make sector bets in our portfolios, leaving those decisions up to each of our portfolio asset class managers. We may tactically allocate more or less to certain market caps - large, medium or small and styles such as growth vs. value. We will make an announcement of any such changes prior to execution. With synchronized growth between the U.S., developed international and emerging markets, it’s easy to justify increased earnings expectations in 2018. Add the stimulus of a tax overhaul and possibly a spending bill that includes infrastructure spending and we could see at least a temporary growth boost over 3.5% after nearly a decade with no growth over 3% on a year over year basis. 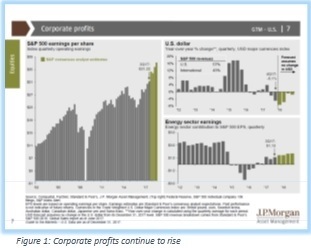 The weaker dollar outlook means the U.S. based multinational corporations (i.e. Coca Cola, McDonald's etc.) and exporting companies should see a boost to their earnings. The energy sector looks to add to the earnings picture as the price of crude rises on stronger global growth. As is quite apparent in the chart in Figure 2, the developed market international asset class has significantly underperformed against the U.S. since the crisis of 2007-08. 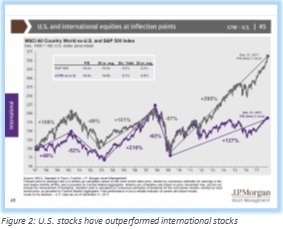 From time to time, the U.S. will dominate economic market cycle performance and then often gives way to international for an extended period of time. We may be heading into that cycle change. Volatility is near all-time lows. This is most likely due to global central bank interventions and massive liquidity injections. 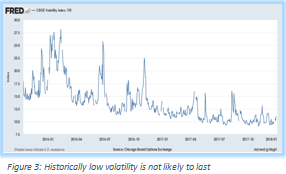 With central banks set to begin the tightening cycle (a period of higher rates and reduction in the money supply), the process which the U.S. started over a year ago, we should see a pickup in volatility. It is important to remember that markets do not go straight up. As economies improve and the inflation builds along with increased commodity prices and wages, the Fed begins to raise short term interest rates. This cycle began more than a year ago. 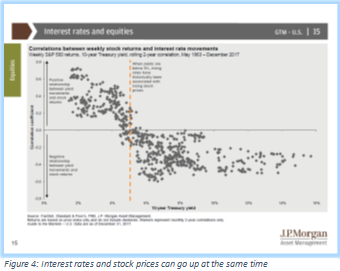 Figure 4 shows the correlation between rising rates of the 10 year treasury on the bottom axis, and the stock market movements on the left axis. In nearly all cases the movement up in rates corresponds with a positive stock market performance until we reach more than 4.5%. The 10 year treasury is hovering around 2.45% in early January 2018. We feel that there is room for this current expansion to continue for some time. 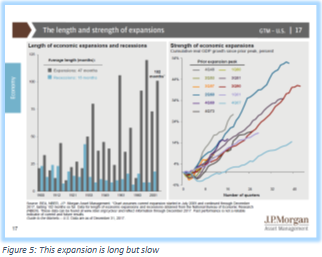 The length of the current expansion is in its 9th year, and some say that it can’t last here because average expansion cycles last 38.7 months. The current expansion is nearing the record of 120 months ending in 1999 in red in the adjacent chart. Because the current expansion has been at a slower growth rate, the inflation concerns of past expansions have been non-existent. The Fed has said on several occasions it will move slowly, erring on the side of a little too much inflation than their normal target rather than risk a deflation caused by a recession before normalizing rates. How much longer will this last? That remains to be seen, but we think it could go down as the longest expansion in U.S. history. 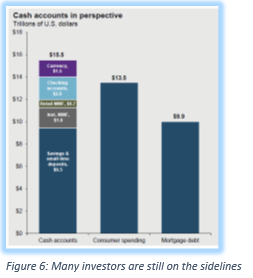 The amount of cash on the sidelines held by consumers is extraordinary. The capacity for increased spending has real potential for extra aggregate demand, while the cash levels show the consumer has extra capacity to invest. This could give stocks an extra push upward in price as demand for them could exceed the stocks ability to justify the price. We think this is down the road at this time, but we’re keeping attention on the price to earnings ratio, which currently sits at 18.2 times earnings. That means stocks are priced slightly more than normal within one standard deviation of their long term average of 16. With the prospects for higher growth and a tighter labor market we should see a pickup in inflation. This would most likely force long term interest rates up, which have been stubbornly stuck near all-time lows for the last few years. Interest rates and bond prices have an inverse relationship. If interest rates rise as predicted, we would expect bond prices to come down. Typically bonds that mature in the near future hold their value better during these times that do bonds that mature further into the future. Short-term bonds offer little in the way of returns, but long-term bonds could lose value if rates rise. Rather than choose one versus the other, we have stayed in the middle for a total return strategy that has okay yield but isn’t too over-exposed to interest rate risk. We may change that structure if the higher growth forecast becomes a reality. We still like emerging market debt over developed international, because the yield they pay offset the interest rate risk. We will continue to maintain our emerging market debt position and may even consider increasing exposure. Bitcoin is a cryptocurrency. I will not opine in this newsletter about the value of any cryptocurrency. It is possible at some point there may be a widely accepted cryptocurrency used to buy or sell anything in a commercially acceptable way. As of now, there isn’t. The most important thing I feel one must understand is in order to be a widely accepted currency; it must be a stable store of value. With the value of this currency rising and dropping more than 10% - 30% in any given trading day, cryptocurrency is not a stable store of value. Merchants will not want to transact in cryptocurrencies lacking a predicable short term value for its use as a medium of exchange. This may happen one day, but not any time soon. 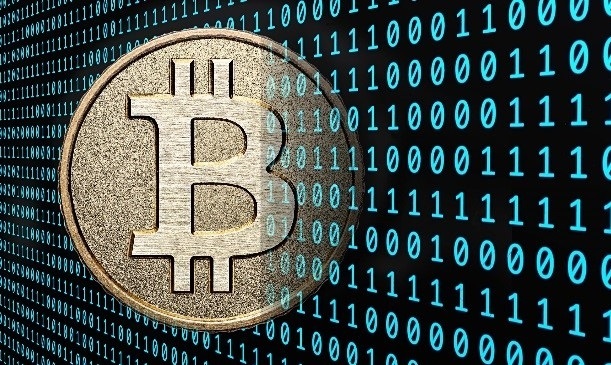 There are dozens or more of cryptocurrencies available to buy and new alternatives are being mined every day (algorithmically generated in complex formulas by computers). Which one will emerge as the most widely accepted no one knows. As for now, most of the actual uses of cryptocurrencies are represented by black market trading and hacking ransom payments. Some vendors have taken a risk such as Overstock.com, but it is very limited. The technology used to mine Bitcoin is known as blockchain technology. 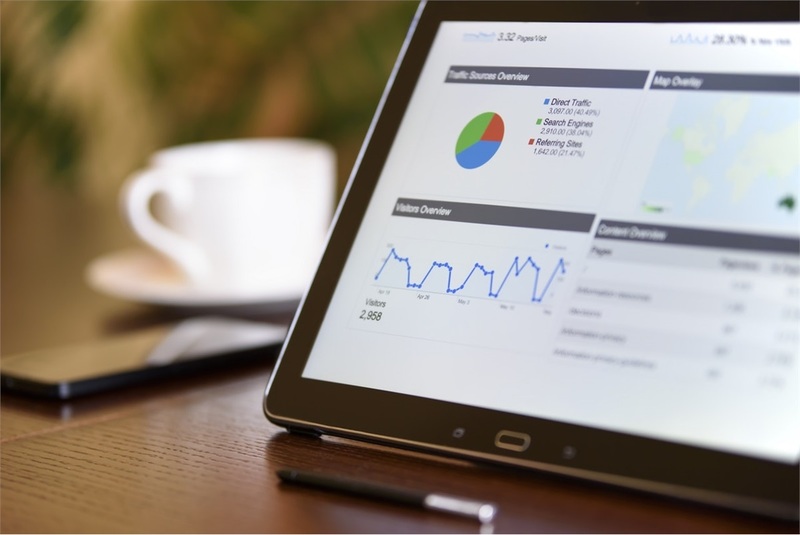 This is a revolutionary technological advancement in the financial community. It provides for a safe secure exchange platform. There may be other ways to invest in blockchain technology. At this point in time we are of the opinion this type of investment is not a reasonable risk profile for any client. If you would like to speculate you would need to be willing to lose it all. And it could happen very fast. It is possible to trade the currency and make money, but we do not currently advise any client to do such speculative investing. 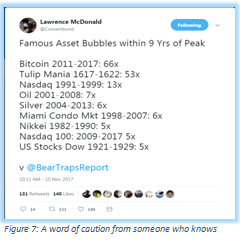 Figure 7 is a tweet from a former hedge fund trader from Lehman Brothers who wrote the book “A Colossal Failure of Common Sense” (a good read by the way about the credit crisis of 2007-2008). Lehman Brothers went belly up on September 15, 2008, setting off a chain reaction in the credit markets leading to the TARP bill and auto bailout. He frames the current Bitcoin craze very succinctly. If you have any questions about your portfolio or your financial plan reach out to your advisor or advisor team. If you haven’t done so already be sure to schedule your next review.